1 What are Alloy wheels? There’s something really attractive about alloy wheels, one cannot simply grasp it but alloy wheels tend to lend improved visual impact and add character on the car they are installed upon. However, there are certain things to consider before spending a chunk on alloy wheels. 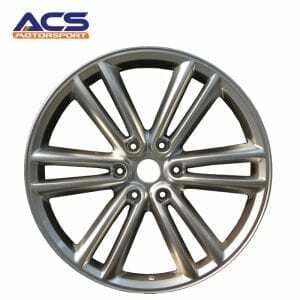 Alloy wheels is a term used by manufacturers to refer to wheel rims made up of alloys of Aluminum or Magnesium, and sometimes both. With Magnesium being the most crucial constituent element, sometimes people call alloy wheels, ‘Mag Wheels’. Most alloy wheels are forged from aluminum alloys, but some are cast from magnesium alloys as well, for greater strength and ductility. In the past, car wheels have always been made from steel due to its durability and strength, as well as the decent appearance it portrayed. However, increasing demands from motorsport companies saw alloy wheels being adopted in huge numbers for their several benefits, which saw their demand in the commercial market steadily increasing as well. Their prices have trickled down and even budget cars are now spotting them. 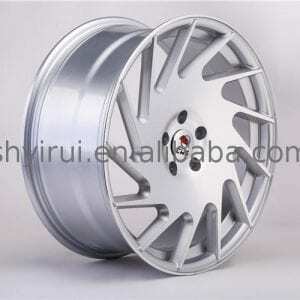 Most modern cars employ alloy wheels and their popularity is rapidly increasing. These set of rims offer some superb styling on the wheels and moreover, there are several engineering advantages of installing alloy wheels. Alloy wheels are indeed lighter than the steel wheels of the same size. This is further attributed to the fact that both aluminum and magnesium metals are lighter than steel. The light-weightiness of these wheels is not only advantageous in terms of weight reduction, but also in performance improvement and vehicle handling. Moreover, they help steer the vehicle easily. The wheels are usually independent of the vehicle’s suspension system. Thus, more weight in this unsupported system results in poor ride quality courtesy of the frequent jerks experienced by the passengers. Increased weight also affects the vehicle handling. Alloy wheels decrease the unsprung weight to transmit less inertia to the spring support system, thereby allowing the suspension to provide better grip and follow the terrain with ease. At no time will steel wheels look as good as alloy wheels, the cosmetic upgrade, as well as the heightened visual impact provided by alloy wheels, is one of the major reasons why people opt for them. your car will evidently stand out from the rest and moreover, increases its value. Alloys were introduced in the manufacturing industries for one major reason, they are better heat conductors than pure metals. This feature has been extended in automobiles and alloy wheels are able to dissipate heat better than traditional steel wheels. Since alloy wheels are lighter than steel, as mentioned above, improved performance and handling further increase the fuel efficiency of the vehicle to a certain degree. Light wheels mean the car will be pulling less weight, reducing fuel consumption, which is a major factor for car owners these days. With decreased unsprung weight, alloy wheels promote better traction, a feature critical during braking performance. Alloy wheels reduce the “wheel hop” commonly observed with steel wheels thereby, decreasing the risk of brake failure. Aluminum alloys are renowned for their ability to withstand corrosion and rust. Alloy wheels made of aluminum alloys are no different, they are immune from rust and corrosion compared to their steel counterparts. 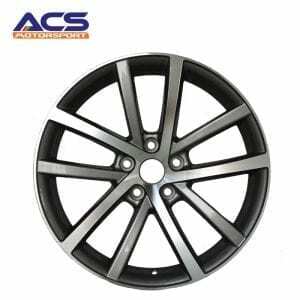 The heat dissipation feature of alloy wheels has a positive implication on the vehicle tires. Tires have the tendency to wear out quickly when heated, however, with alloy wheels they remain cooler, extending their longevity. Another plus for many car owners is that alloy wheels, being lightweight, reduce the expenses on car tires maintenance. Alloy wheels are the perfect fit for tubeless tires because they are totally airtight. Unlike steel wheels, which will net you minute losses in tire pressure. Well, the duality nature of things makes it impossible to have only advantages. Alloy wheels may be very popular and seem attractive to car owners due to the aforementioned advantages. Alloy wheels do have their share of disadvantages as well, just like all things. Let’s face it, steel is one of the strongest metals we have, in fact, it is this feature that makes it an industry standard in building and construction. Steel wheels are much stronger than alloy wheels and can withstand much more impact before giving way when subjected to a harsh terrain. This feature is of great consideration, in places where there are bad roads, alloy wheels will not survive the trials. Compared to traditional steel wheels, the manufacturing processes of alloy wheels are more complex. Thus alloy wheels tend to cost a lot more than their steel counterparts. Moreover, steel wheels cost way less to repair in case of damage than alloy wheels. The visual aesthetics brought forth by alloy wheels has the possibility of attracting the wrong kind. A sure way to ensure your mag wheels don’t disappear, take precautionary measures like introducing locking nuts fitted. 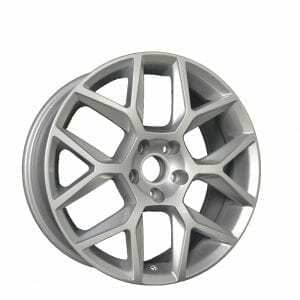 Alloy wheels may offer several advantages over steel wheels, however, one important factor to note is that they are less durable than a steel wheel. Alloy wheels will limit you to only tarmacked surfaces because taking on the off-road challenge on alloy wheels will dent your wallet even further. However, if you are still determined to install alloy wheels in your car, then it is prudent that you have an expert alloy wheel repairer on your speed dial. This is essential because no one what to be stuck in the middle of nowhere because they don’t know an alloy wheel specialist. Moreover, it’s all about the care you give your wheels, minimize clashing with the disadvantages mentioned above and you’ll be free to fully exploit the advantages of having alloy wheels on your sweet ride. 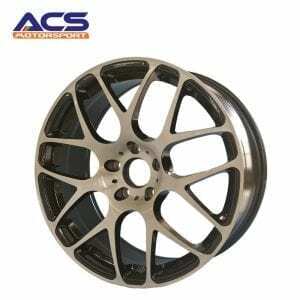 This entry was posted in Alloy Wheels and tagged Alloy Wheels, car parts, high performance car.